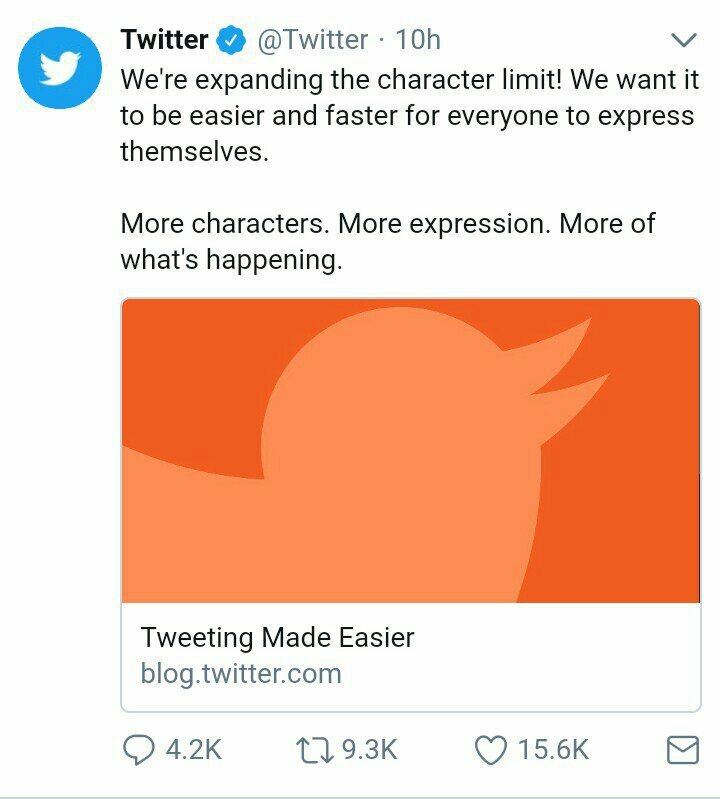 Twitter the popular messaging app, has lifted its characters limit from 140 to 280-characters. The micro blogging platform first tested the limit on some twitter users who has large amount of followers. The test took over about six weeks, during about which Twitter had collected some interesting data. 5% of tweets sent were longer than 140 characters while 2% were over 190 characters. Meanwhile, the data was collected before the limit was changed for all twitter users but we would be interested if we see long tweets all the time than the short tweets people have being doing since when Twitter was launched. 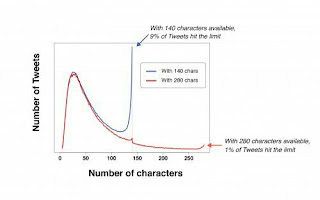 Twitter purpose in increasing the characters was to bring more users who wants a bigger canvas to express themselves more easily using the platform. However, those whose limits has been raised would see a new circular limit indicator rather than the former digital counter. 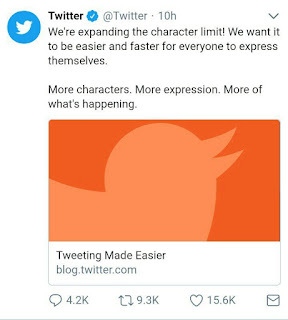 Twitter the popular messaging app, has lifted its characters limit from 140 to 280-characters. The micro blogging platform first tested the limit on some twitter users who has large amount of followers. The test took over about six weeks, during about which Twitter had collected some interesting data.